Here is a great phone from John Ambrose of the “Flying Fossils” in Quebec city. The group ranges from 72-83 years young, and shows how skating can be enjoyed by all ages. Try Long Track Speed Skating! Long track is a great way to complement short track speed skating. It is raced on a 400m track, and helps to build endurance and strength. 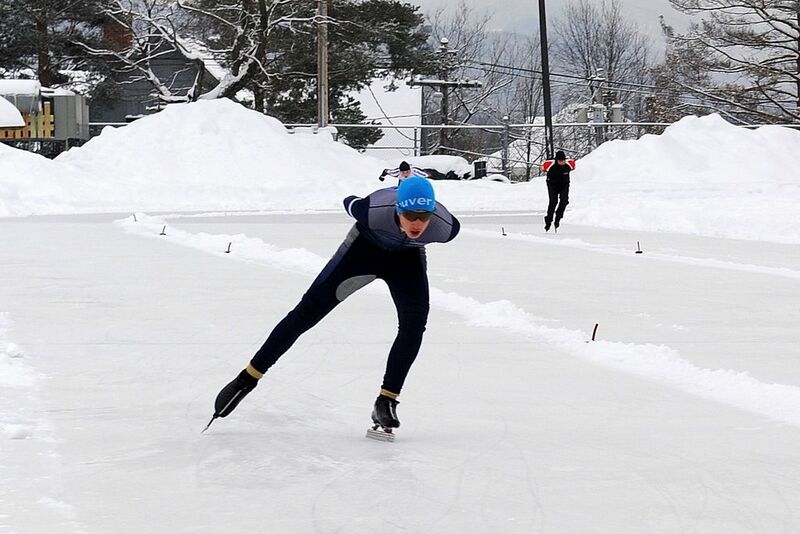 Racing can be either Mass Start (multiple skaters) or Olympic Style (2 skaters on the track). Who can skate long track? Long track opportunities are for all ages – if you are interested, talk to your coach, or contact Priscilla Everett at prusie.everett@gmail.com for further information about any of these opportunities. More posts to come on equipment, rides, registration dates etc! The season usually lasts from November through to March. Brewer Park in Ottawa is home to the Oval, where one can train Monday – Thursday from around 7pm. 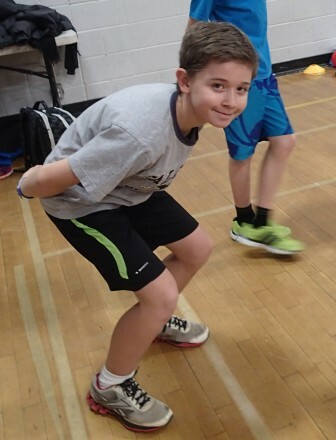 As a skater registered with our club, you can interclub with either The Gloucester Concords (for an admin fee of $25) or The Ottawa Pacers. 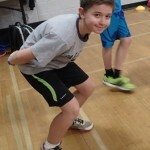 This allows coaching opportunities at practices and meets. 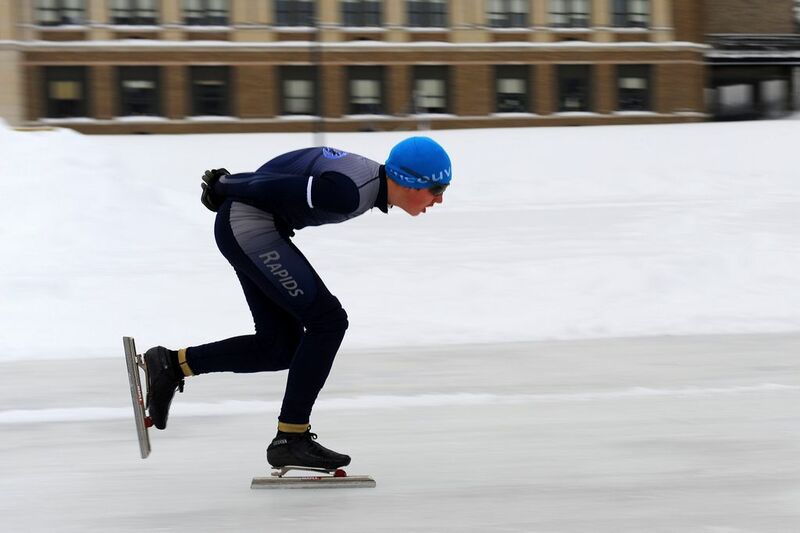 The Lake Placid Speed Skating Oval is generally available for training from Thursday-Monday at 4pm – 6pm, and Saturday-Sunday from 10am – 12pm. 2. Pacers Camp at Brewer Park Oval = January 2-3, 2016 (weather permitting). *SLSSC recommended! 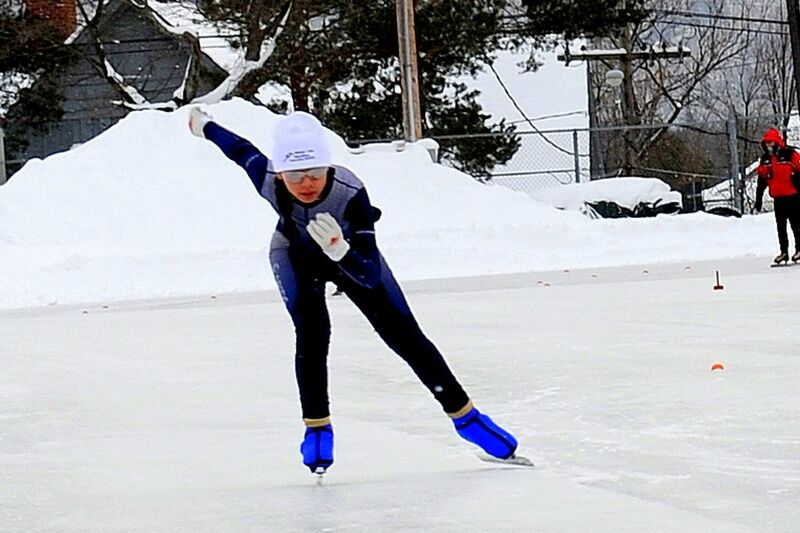 The Provincial Long Track Championships will be held at Brewer Park Oval, on January 16-17, 2016. SLSSC recommended! 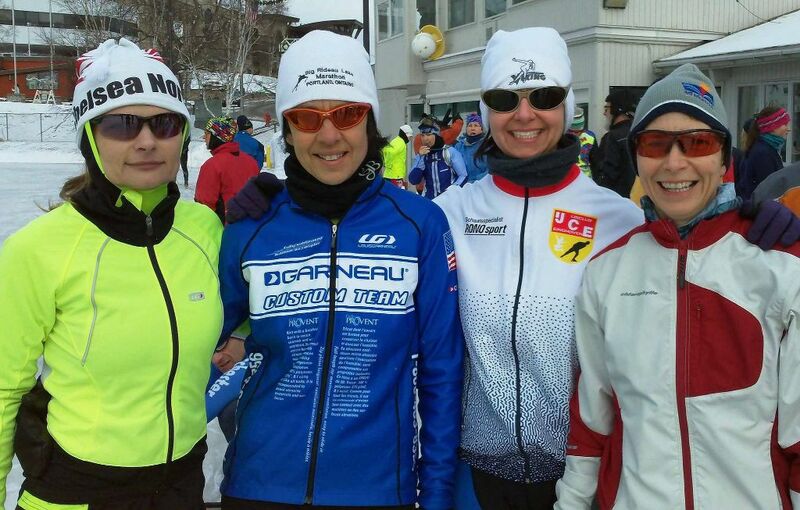 The Canadian Age Class Long Track Championships will be held in Quebec City, on Feb 6-7, 2016. * For those that qualify! December 18-19 = Charles Jewtraw Allround Championship (the best start for all ages, distances typically raced are 500m, 1500m, 3000m and 5000m). February 26-27 = Irving Jaffee Single Distance Championships (usually all distances are raced, including 10km. 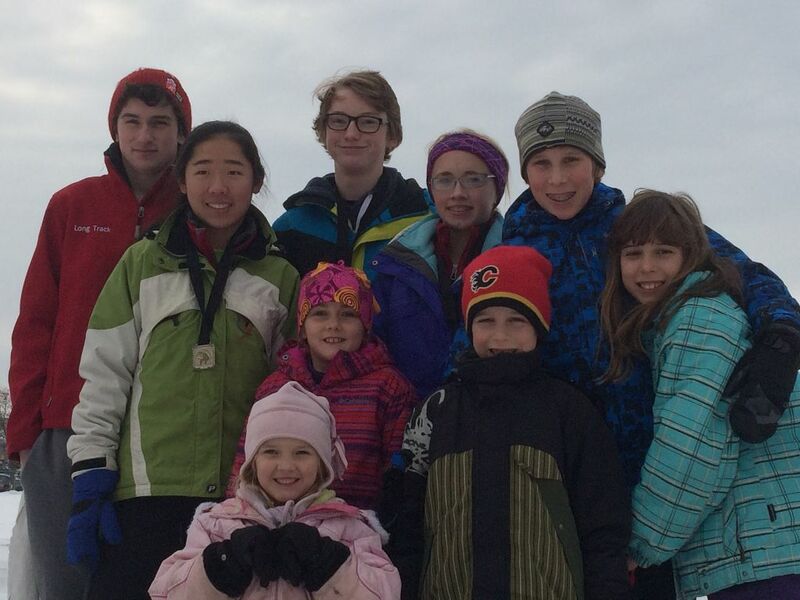 A great family weekend in Lake Placid with many winter activities around the town and on the lake). 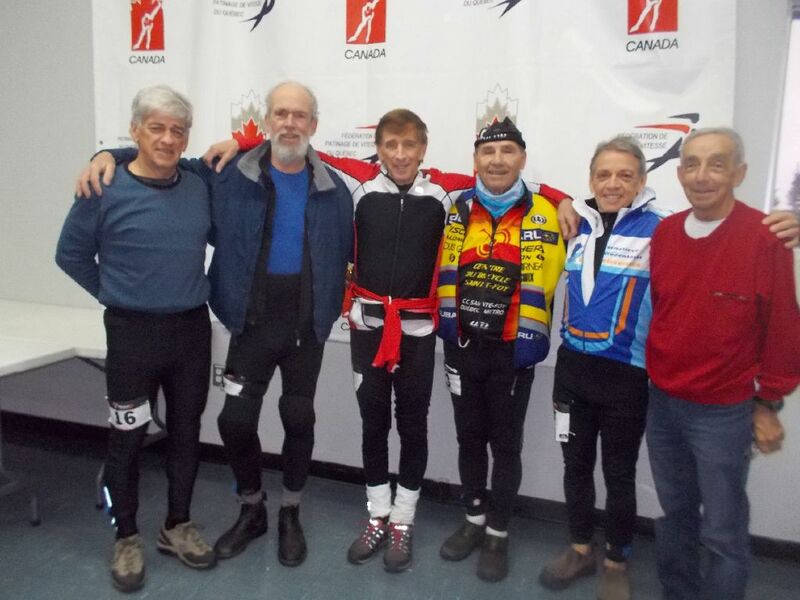 This past week (Feb 05-08), the World Masters Winter Games were held at various venues in and around Quebec City. For skating enthusiasts there were competitions in short track, long track and marathon skating. The 50km was held on beautiful Lake Beauport north of the city. By all accounts the conditions were absolutely perfect. 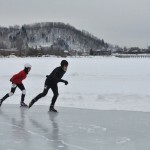 The 25 km was held on the refrigerated oval that has been established on the Plains of Abraham. Although SLSSC President John Ambrose registered for these events, he had to cancel at the last moment due to illness. 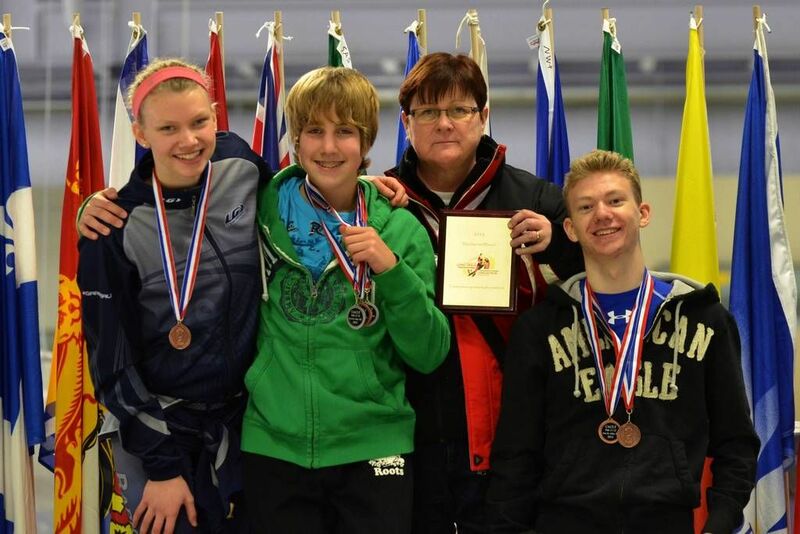 If you wish to see the results you will have to find your way to the website of pentathlon des neiges. 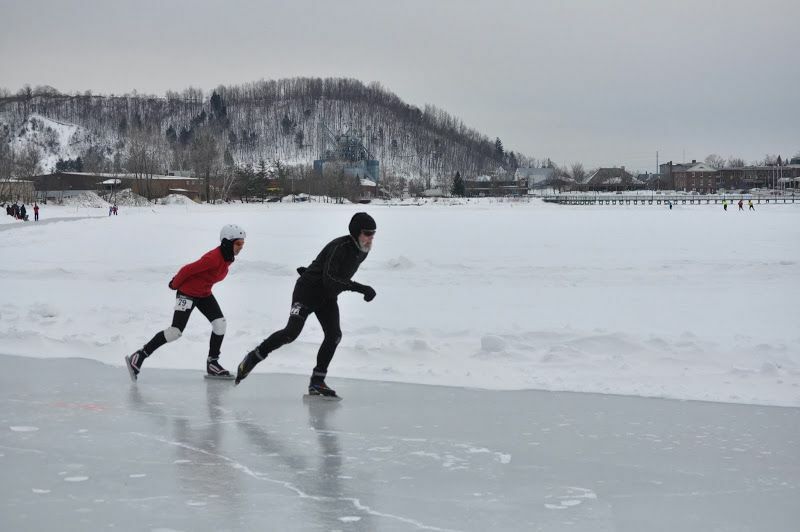 A few weekends back (Jan 31 – Feb 1), the second annual Lake Memphromogog Marathon races were held adjacent to the picturesque Vermont town of Newport. The local organization was granted the rights to hold the North American Marathon Championships and these attracted some 28 entries over the two distances of 25km and 50km. Saturday’s 25km started in -20C temperatures with a brutal wind on one side of the 800m oval which resulted in a wind chill of -30C. Once the race was on there were no complaints of the cold as we warmed up with a steady and robust pace. Registration included skaters from Ontario, Quebec, Alberta, Vermont, NY, Connecticut, Massachusetts and one skater all the way from Berkeley, California. This race was won by Jake Maarse, a 60 year old regular on the marathon circuit, of North Gower, Ontario. Our club was represented only by yours truly but my result was somewhat disappointing due to a heavy chest cold. The 50km race the next morning started in balmy weather of -15C but still a nasty wind that contributed to a much lower temperature. In this race Tom Keene of Boston edged out Jake for the win. For the first time in ten years I did not finish a marathon event, having run out of steam after only a third of the distance – again my excuse was the chest cold. The ice conditions were excellent and the organizing group at Newport deserve much praise for their dedicated work. This was only their second year of ice making and they have climbed the learning curve of ice making very quickly. A 40km skate up the lake was planned for Monday and this would have included a border crossing into Canada. However due to heavy snow conditions earlier in the week the event was cancelled, much to the disappointment of many of the skaters who were looking forward to this interesting and fun event to skate a race transitioning from one country to the next. 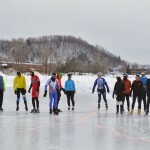 I encourage those in the club who are interested in distance skating on natural ice with the elements that winter has to offer to consider the Vermont events for next year. Incidentally the weekend also includes 1 and 5km events. The oval is adjacent to the East End Restaurant, the race headquarters, which offers up on the Saturday evening a wonderful buffet and some of the best draft craft beer in the northeast. Marathon skating is not about winning medals but about participating in a fun and challenging event with wonderful people (highly skilled and not so) from far and wide. 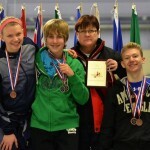 If you wish to keep abreast of what is going on in the marathon skating world refer to www.marathonskating.org. 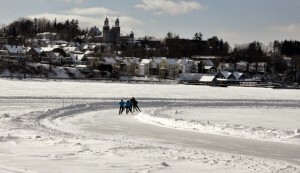 Picture below shows the lead pack rounding the south corner of the oval with the town of Newport in the background. 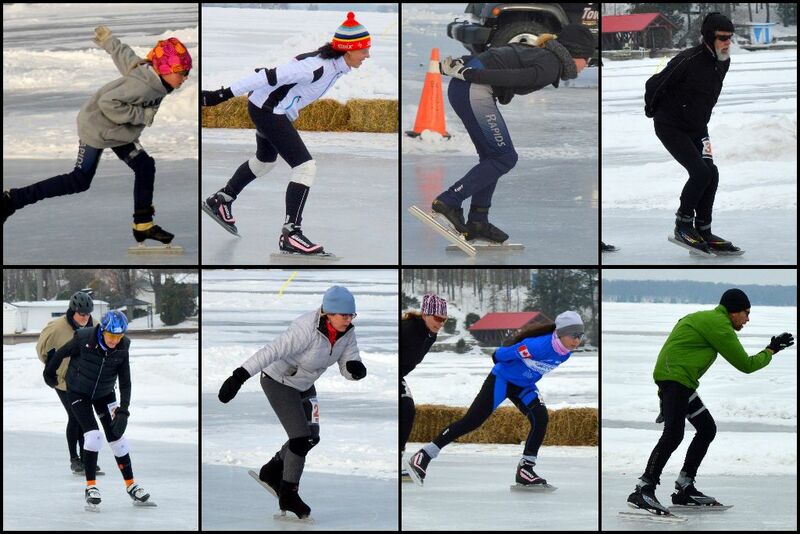 On Saturday January 24th the 11th edition of Skate the Lake at Portland was held. This year was the best ice that I have ever experienced at this competition. Good ice but tough conditions as the usual wind on the far side was at it best (or worst). By the time the 25 and 50km events started the wind provided a brutal force with which to contend. SLSSC showed a strong presence as usual in the day’s events. Darlene Nelson,Emma Grace Wheeler and Julia Wheeler entered the 5km, Betty Hogeterp and husband Bill (former club member) entered the 10km along with ‘Gimpy Knee’ Heidi, John Bols took on the 25km and John A. had a struggle with the 50km. Four of the five Schoneville family (former club members) competed in the various event distances. However the surprise of the day was the extremely strong showing of Chloe in the 25 km who placed very high in the overall standings and took a gold in her age class. Great showing Chloe in your first ever marathon event. The first two marathon sessions have now been completed. Just a short note for now: John A. Was the only SLSSC member to attend the opening of the season at the refrigerated oval in Ste. Foy (Nov. 29) where he had one of his best 25km skates in several years. Incredibly there were six in his age category (undisclosed) and inspite of a great run, couldn’t make the podium. Unfortunately due to car problems he couldn’t get to the rink the following day on time for the start of the one hour race. Too bad, because there was only one other in his age category which meant missing out for a podium spot. 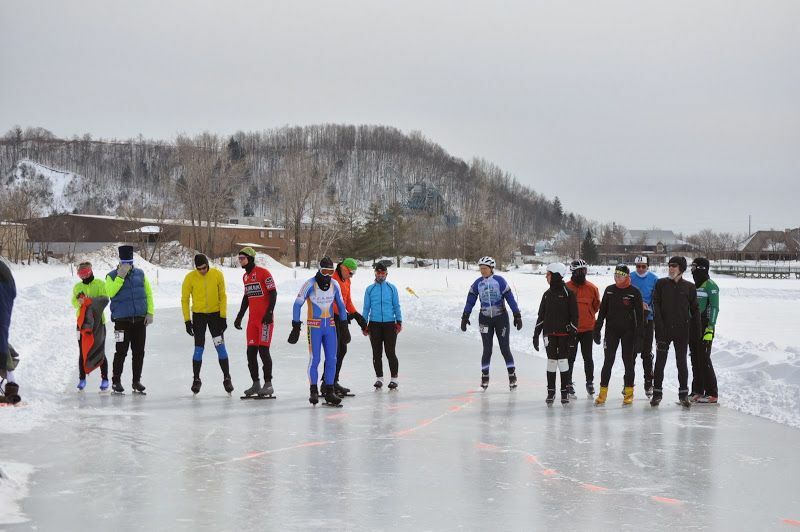 This past weekend the Golden Skate marathons were held in Lake Placid with a 10k on Friday nite and 21 and 42k on Saturday and Sunday mornings. Friday conditions were great but Saturday was tough with soft ice and blowing snow. Sunday was cold, little wind and sunny skies with squeaky clean hard ice. The following picture shows the strong support from SLSSC. From left to right: John A. (10, 21 and 42k), Nick E. (10k), Heidi (out of action with a bad knee), Sue Runciman, former member (10 and 21k) and John Bols (21 and 42K). This group came away with 2 gold and 2 silver placings. The 11th edition of Skate the Lake will be taking place on Saturday, January 24th, 2015. More information is available through the poster. Registration form and the fee structure can also be downloaded. On the weekend of Feb 8th and 9th, during the famous Quebec Winter Carnival, the inauguration of the Plains of Abraham marathons was held. A refrigerated track of 430 m was constructed on the historic site of the Plains of Abraham, overlooking the St. Lawrence River and the old city. 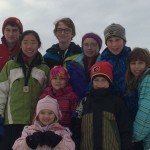 There was a very healthy and enthusiastic turnout for both the 25km on Saturday and the 50km on Sunday with most skaters coming from the Quebec City and Montreal regions with only three skaters from Ontario competing and a couple from the US. Saturday’s conditions were brutal with extreme winds from the west, however the westerly direction of the track was downhill (yes, downhill, slightly) and the tail wind up the opposite side aided this slight uphill section. The ice was in perfect condition and all skating times were very good, particularly on the Sunday for the 50km with little wind (but -20 degrees C) with which to contend. Even though placing at the bottom end of the overall skaters’ times, I did skate a personal best for the 50km with a faster pace than in the 25. My personal good times were not enough to podium in my age class in either race due to a large group of very fit and fast aging Quebecers. They sure are great outdoor enthusiasts in Quebec and take their fitness and sports very seriously. 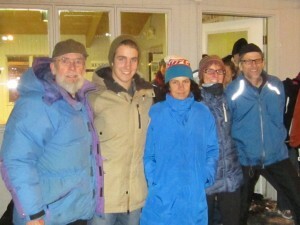 The organizers of the event plan to hold the races annually during the winter carnival and I highly recommend attending if you are looking for a wonderful skating experience in a great historical city at a very festive time of the year. Another new marathon weekend was scheduled for the weekend of Feb 15/16 but has been cancelled due to stormy conditions.